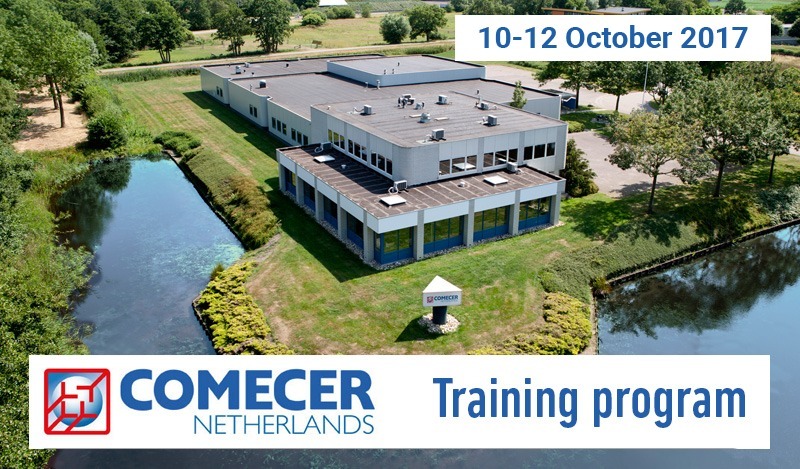 The product training of Comecer Netherlands is intended for distributors and service engineers that are involved in installation and service of our products. During the training you’ll get to know the product by a general introduction, an installation training (hands on, unpacking, SAT, installation prerequisites etc.) and a service training. 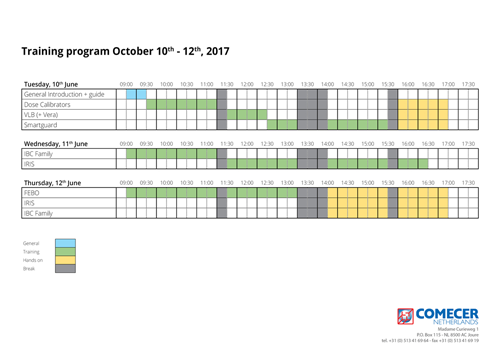 Please note that all products you’re trained in are available during these three days in-between and after the training sessions. So if you’re not following a certain part of the training it’s possible to get familiar with the product itself. If needed there will be someone available to answer questions. Before the training you’ll receive our Technical Documentation (TD). This documentation must be read prior to the training to acquire the basic knowledge of the product. Location: COMECER Netherlands – Madame Curieweg 1, 8501 XC Joure, Netherlands.